With an upcoming change in season comes the opportunity for a new crop of plants for your garden. Planting for the fall season brings new gardening possibilities to explore. Now is the time to get your fall garden started. 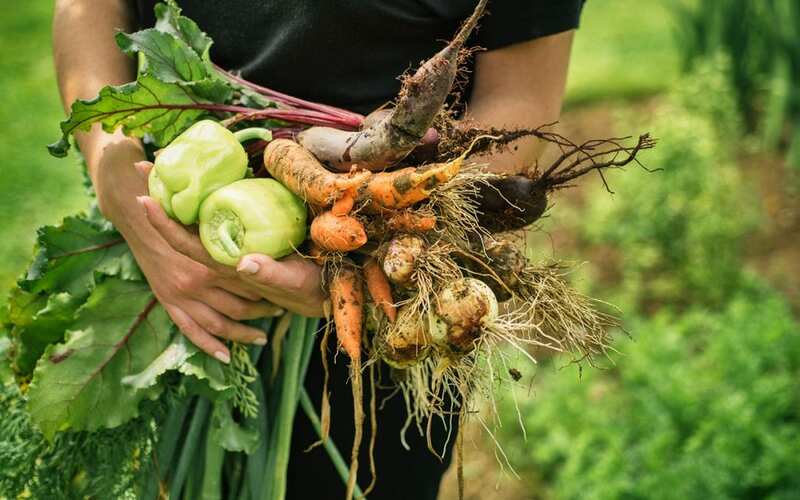 Here are four easy tips for growing autumn crops in your backyard garden. Now that you’ve decided to start a fall garden, you have to figure out when to begin planting. The first step is to look at the frost dates for your area. You can use The Farmer’s Almanac Frost Dates for assistance in determining the date. From there, you can count backward to decide on a safe date to begin planting, usually 45 days before the first frost. Consider adding one to two weeks to your estimate to be safe. Also, be sure to arrange your planting area by removing any summer plants that are no longer producing and weeding the area. Part of the fun of gardening is selecting what you will plant. Summer gets a lot of attention for gardening and the types of vegetables grow during the season, but autumn has the potential to bring its own variety of tasty produce. You can grow baby carrots, spinach, scallions, radishes, and kale all within two months. The time might be shorter if you want to harvest prior to full maturity. Planting chrysanthemums and marigolds for the season will also provide you with beautiful fall colors, and encourage helpful pollinators. To give yourself the best chance to take full advantage of your new plants and vegetables, plan out the care for your garden. Be sure to water it regularly during the hotter months leading into fall, especially if you live in a dry climate. As your plants grow, look for any signs of infestation or insects that will hinder their growth. Consider using homemade solutions for pest control. Infestation and pests aren’t the only possible dangers to your fall garden. There is the potential of frost negatively affecting certain plants. Covering them with simple methods like a tarp or sheet can help your garden continue to thrive in colder temperatures. These tips cover the basics to get your garden started. It’s always important, however, to further research the specific varieties of plants and vegetables you select to determine the best and most effective way to care for them. You also want to be sure they are good fits for your climate. It’s possible that you’ve followed all of the recommended steps, but still realize that something might not be quite right. Don’t hesitate to speak with the staff at your local garden center to ask for their advice. They may be able to provide the exact expert advice you need to produce a thriving fall garden. Now all that is left is to enjoy the fruits (or rather vegetables) of your labor. Some of your vegetables will need to be harvested earlier than others if you’ve selected varieties that grow into winter. Once you’ve harvested your vegetables, your main concern will be which recipes to use. You’ll be appreciating your efforts in no time. Carolina’s Best Home Inspections provides home inspection services to Moore County. Contact us to book your appointment.